KAMPALA, Uganda (CNS) — The Ugandan bishops called on all Catholics to prepare spiritually for Pope Francis’ Nov. 27-29 visit to their country. 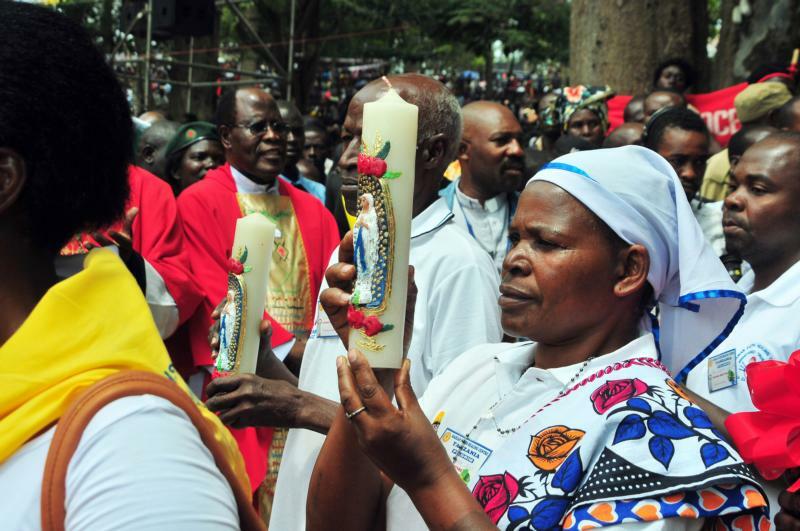 Pope Francis’ visit has the theme, “You will be my witnesses.” The bishops said the pope will help Ugandans celebrate the 50th anniversary of the canonization of the Uganda Martyrs, who were burned to death for their faith between 1885 and 1887. The martyrs were canonized in 1964. The bishops praised the church’s contribution to “health services and education to the poor and rich alike.” They noted that at the start of the 20th century, Uganda had barely 10,000 Catholics; now, slightly more than 45 percent of Uganda’s 34.9 million people are Catholics. The bishops also noted the challenges to the church, including the “alarming gap and contradiction between the faith we profess and the life we live.” They mentioned traditional African practices like polygamy, cohabitation, witchcraft and human sacrifice, among others, as contradictory to Christian beliefs. The bishops said Ugandan families are affected by infidelity, domestic violence, poverty, child abuse and diseases such as AIDS. They challenged the faithful to recommit themselves to promoting the values and sanctity of marriage and the family as well as rebuild the country’s moral fiber. Pope Paul VI visited Uganda in 1969 to celebrate the Uganda Martyrs. In 1993, St. John Paul II made a six-day pastoral visit to Uganda and elevated the Uganda Martyrs’ Shrine in Namugongo to the rank of a minor basilica. Namugongo is where most of the 22 Uganda martyrs were burned to death for their faith.